TR died a century ago this month when Ty Cobb was still in his prime, Babe Ruth's bat was beginning to erupt and baseball was about to be a major hit on radio. You Tube shows no American president having thrown out a football to open a college or professional game. Historically, the first-pitch rite is baseball’s. Franklin Roosevelt opened the season eight times from 1933 to 1941, then saved the national pastime in World War II. George H.W. Bush played, coached, and mentored the game. Richard Nixon so loved it that he was offered the office of commissioner in 1965. Eyeing the presidency in 1968, he declined. Not every president has been so baseball fervent. Yet the only U.S. chief executive to truly detest the sport died a century ago this month—January 6, 1919. “Bully!” was Theodore Roosevelt’s byword for something that “delighted” him, games that sired blood, gore, and violence. Baseball disgusted him: to America’s twenty-sixth president, 1901-09, too dull, even somnolent. His quandary was that the pastime had become so popular that TR didn’t dare say how he felt. Not long after his death, America’s first radio station, KDKA Pittsburgh, took to the air November 2, 1920, Election Night. Roosevelt would have been alight over performing on the wireless—far less so over learning of baseball’s first broadcast, also on KDKA from Pittsburgh’s Forbes Field, August 5, 1921. In 1925, only ten percent of Americans owned a radio. Sixty-three percent did by 1933. Few institutions profited more than baseball, by 1939 each big-league team airing its entire regular-season schedule. It is safe to say that Teddy—a childhood name he hated and the public loved—would have turned to other programming, even as the game’s appeal swelled. Roosevelt was born in 1858 in New York, a sickly child who found that physical exercise could build his body, check bullies, and curb asthma. Often bed-bound, he was not courageous but read about and learned through the lives of courageous men. TR graduated Harvard ’80, wrote his first of forty-two books, served in the New York State Legislature, braved his wife’s death, went west, became assistant secretary of the navy, vainly ran for mayor of New York, then in 1898 enlisted in the American army of the Spanish-American War, leading the Rough Riders, or First U.S. Volunteer Cavalry Regiment. Landing in Cuba, he led troops in the battle of San Juan Hill, commanding on horseback until barbed wire trapped his mount and he advanced on foot. He returned home a hero. Back in New York, he became governor in 1898, vice-president in 1900, then president a year later on William McKinley’s death. 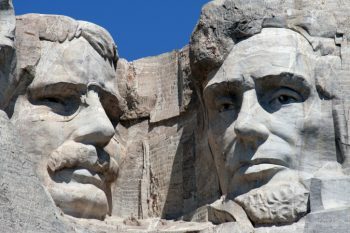 As president, TR busted the trusts, regulated railroads, pioneered conservation—a dowry that Bush called “our cathedral of the outdoors”—and helped build the Panama Canal, expand the navy, and send the Great White Fleet around the world, his foreign policy dubbed “America First” a century before Donald Trump’s quite different vision. Many saw him as the British writer and statesman John Morley: a cross of “St. Vitus and St. Paul.” He urged any president to “speak softly and carry a big stick,” winning the Nobel Peace Prize in 1906 for ending the Russo-Japanese War. As president, TR hoped to mold strong, self-reliant American youth, believing what his father had told him on entering Harvard: “Take care of your morals first, your health next, and finally your studies.” At heart Roosevelt preferred a sameness in which players must advance ten yards in four tries and that “can exist anywhere a hundred yards of flat ground exists,” as The New York Times’ George Vecsey wrote of football. TR was a Renaissance Man—above all, an American. His conundrum was thinking of baseball as castor oil. “Father and all of us regard[ed] baseball as a mollycoddle game,” said daughter Alice Lee Roosevelt Longworth, using daddy’s favorite adjective. “Lacrosse, boxing, polo, yes: They are violent, which appealed to us. But baseball? Father wouldn’t watch it, not even at Harvard!” How could a baseball-hating president survive an increasingly baseball-loving land? Discreetly, which could mean disingenuously. Lauding baseball, Teddy didn’t mean a word. In May 1907 a delegation from the National Association of Base Ball Leagues arrived at the White House to give TR a season pass “made in fourteen-karat gold and doub[ling] in two so that it may be carried in the vest pocket,” said a press release.” Roosevelt’s face on the pass was beautifully enameled in gold. The card, dated April 1, was an accidental April Fool’s joke—free entry to the association’s 256 professional baseball parks. (TR did not intend to use it, a baseball visit, his private root canal.) “The sport of this country, above and beyond all others, is baseball,” said association secretary John H. Farrell. “It is rightly called the national game and its right to be so called is undisputed.” Roosevelt said nothing. Farrell droned on: “There is nothing more gratifying than the fact that the present executive head of this great nation is an ardent champion of the national game.” TR nodded, wishing he were elsewhere. Oval Office rhetoric was taking a surrealistic turn. The delegation wished, said Farrell, to hail the president’s support of “a game that nourishes ‘no mollycoddlers’”; Teddy’s own prose was strangling him! Moreover, Farrell quoted TR about how “base ball was the typical American outdoor sport”; Roosevelt liked it because “men of middle-age could still engage in it”; and the pastime had his “good wishes.” There you have it: TR thought baseball typical, which it wasn’t; and wished it well, which he didn’t. “He was a popular president,” observed Baseball: The Presidents’ Game, “a former war hero who boxed for exercise. He publicly scorned non-bruising sports … But baseball was the national game,” wanting “to embrace” him, “to make him part of the mystique.” The president it wanted, merely wanted it to go away. Roosevelt had rejoiced on election night 1908, having declined to seek another term and thinking victorious vice-president William Howard Taft a protégé. He soon found Taft a mossback pining to reclaim the late nineteenth-century small-government GOP. Irate, TR headed a progressive third-party in 1912. In October, a bullet from an onlooker struck his chest as Roosevelt began a ninety-minute speech. Blood seeped into his shirt, yet he completed the speech without medical aid. “Ladies and gentlemen,” Teddy thundered, “I don’t know whether you fully understand that I have just been shot, but it takes more than that to kill a Bull Moose!”—his new party’s name and emblem. TR finished a distant second to Democrat Woodrow Wilson but improbably ahead of major-party Taft, then returned to a riddle. Why couldn’t the hero of San Juan Hill beat a girly sport that even sons Kermit and Quentin had played and studied, Kermit’s youth team mauling the P Street Boys, 23-2, on the White House grounds? No wonder Dad recoiled. The enemy, baseball, was within. TR later opposed President Wilson’s reluctance to intervene in World War I and considered running for the 1920 GOP nomination. He never got the chance. Quentin was shot down behind German lines and killed. TR died in his sleep. Baseball went its way, and Roosevelt went his. Since then, every president has either liked baseball or kept loathing private even from intimates. In his contempt for the pastime, TR stood, as was his bent, alone. 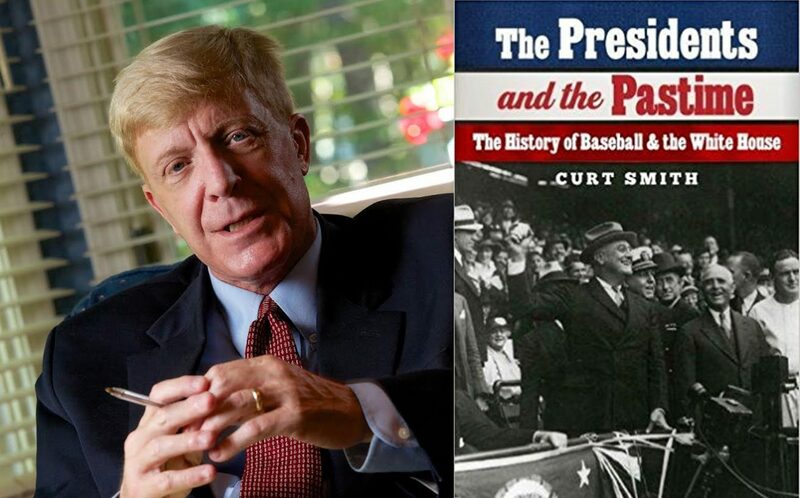 CURT SMITH is what USA Today calls the “Voice of authority on baseball broadcasting.” His newest book, The Presidents and the Pastime: The History of Baseball and the White House, was released this summer. 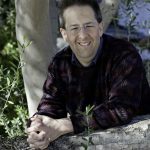 He is a former Speechwriter to President George H.W. Bush, Associated Press “Best in New York State” radio commentator, and Senior Lecturer of English at the University of Rochester. Mr. Smith writes twice monthly for Gatehouse Media Newspapers.